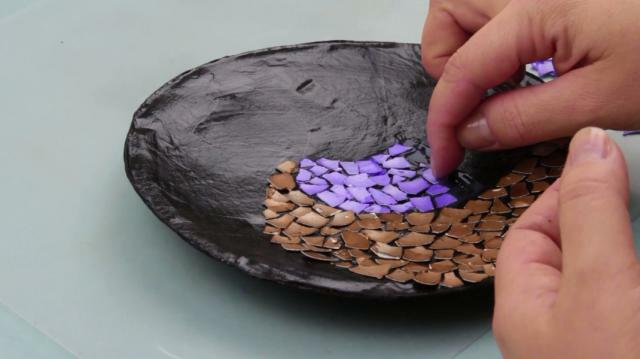 In today's tutorial we'll create a beautiful mosaic plate using ordinary eggshell. This creative handmade plate will become an incredible wall decor in your kitchen or sitting room! brown and purple egg paint. 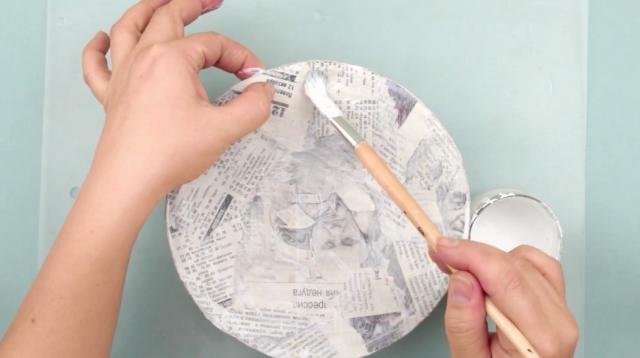 Make a paper mache plate. We need newspaper for that. Remove the knob to use the lid as the base. Pour a bit of water into the bowl. The first paper coat is always applied without glue to let paper mache be removed easily from the base. 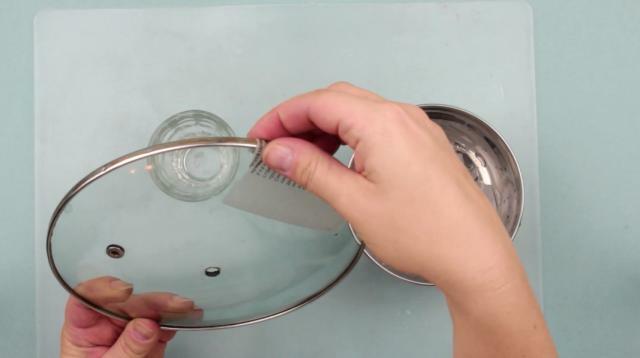 Place the lid onto a glass to make the job easier. 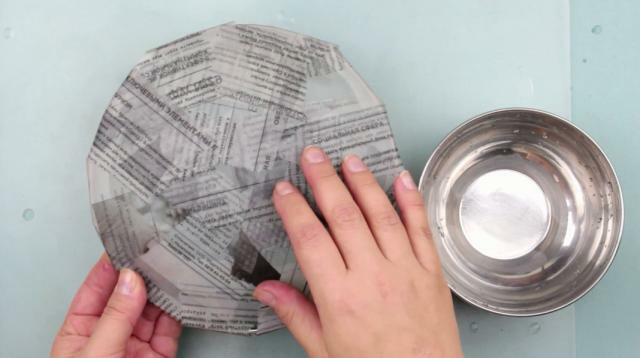 Soak the paper in the water for several minutes. 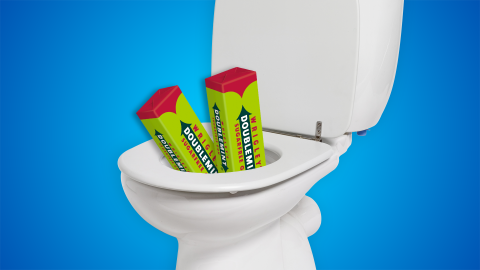 Take a piece, remove the excess wet. Attach to the lid starting with the edge. 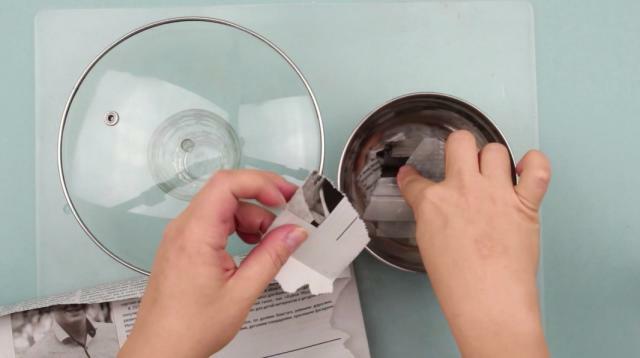 Be careful to wrap the lid edge with the paper coat covering about an inch or so of the back side. Let the first layer dry. 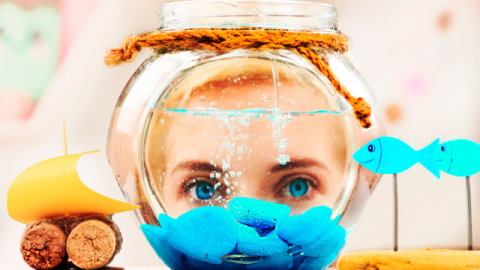 Add white glue to the water in three to one proportion. Mix well. Apply the second coat in the same way. 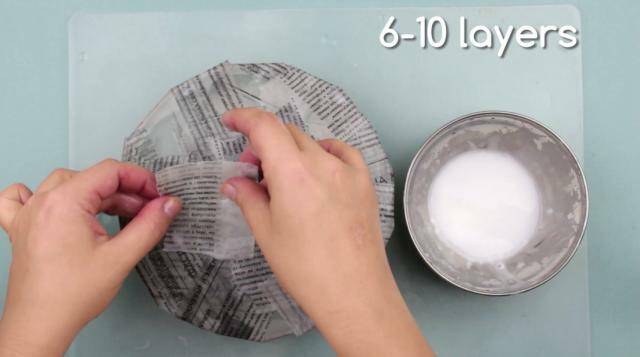 You should add 6-10 more layers. 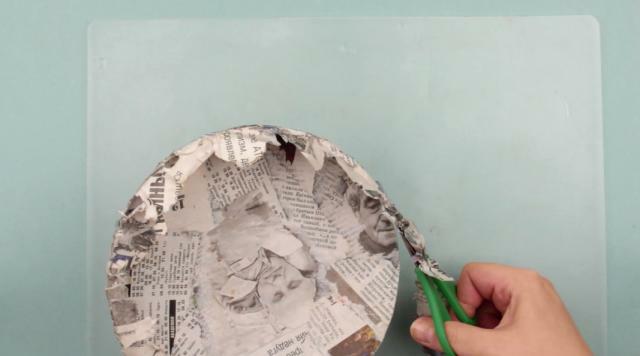 When the paper is dry remove the paper mache from the lid. Unfold the edges from the back side. Cut out carefully. Ground the plate with the mixture of white water based paint, white glue and water in equal proportion. 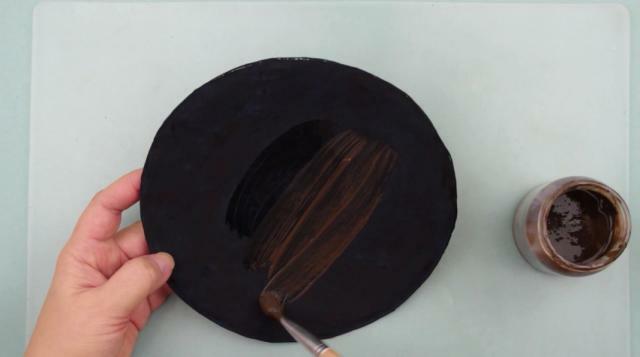 When it’s dry cover the plate with black ink. This background will perfectly fit for bright mosaic. Add some gloss by covering the surface with tinted acrylic lacquer. 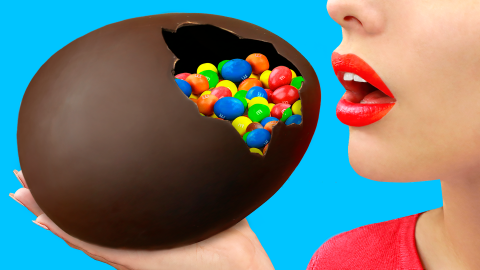 Prepare the egg paint first. Follow the instructions on the package. 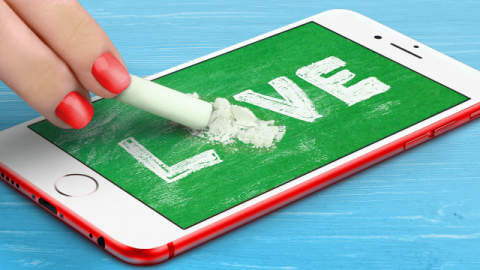 Crack the eggshells and put them into the paint. Let dry well. 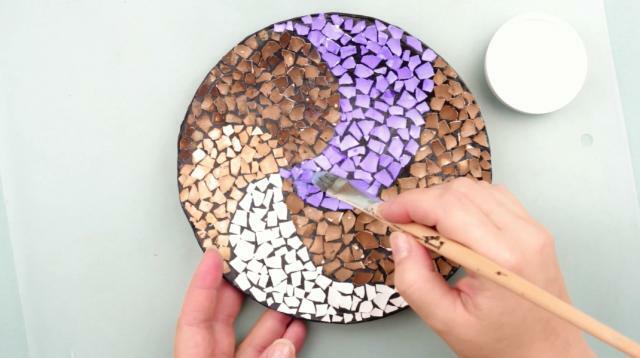 Sketch a mosaic outline on the plate. 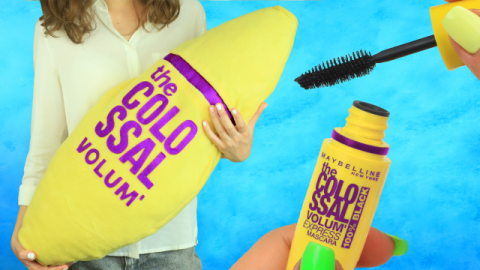 We’ll make a colored spiral. Add glue to a small area. 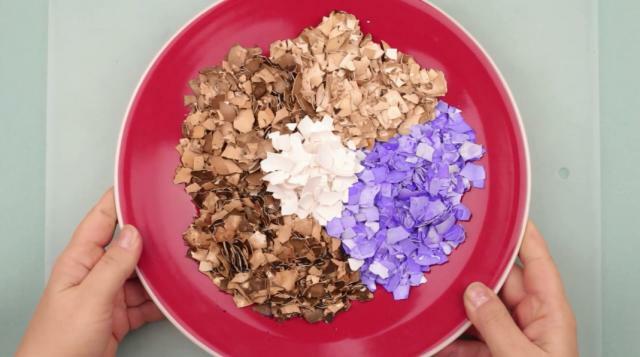 Place the one color eggshells without overlapping. 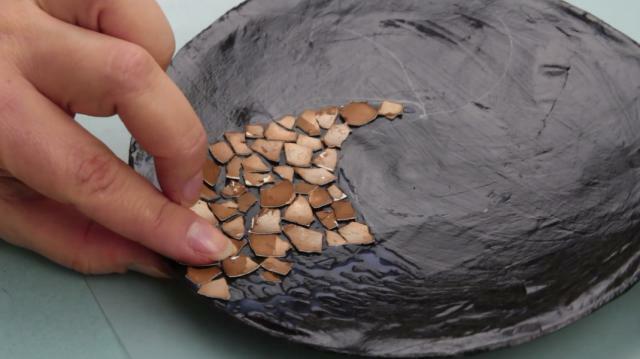 Be careful to place the eggshells inside the plate edge. When the first spiral fragment is finished make the next one of another color. Cover the plate with two coats of acrylic finishing. You need to attach a ring to hang the plate on a wall. 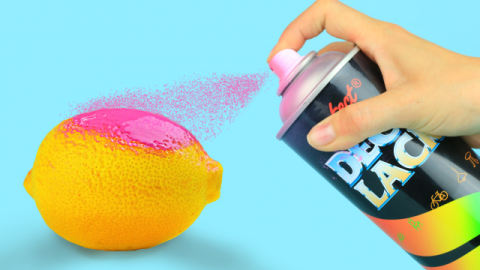 Use a hot glue gun. 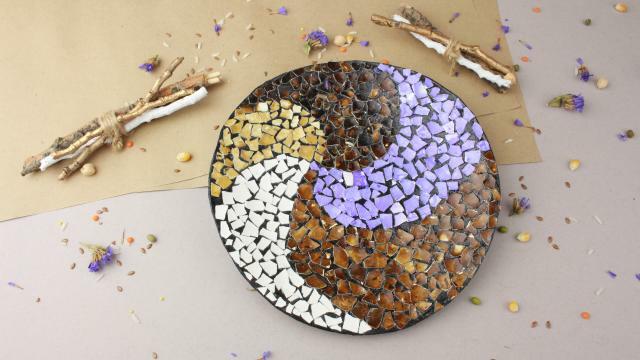 The eggshell mosaic plate will be a fabulous wall décor in your kitchen or sitting room.